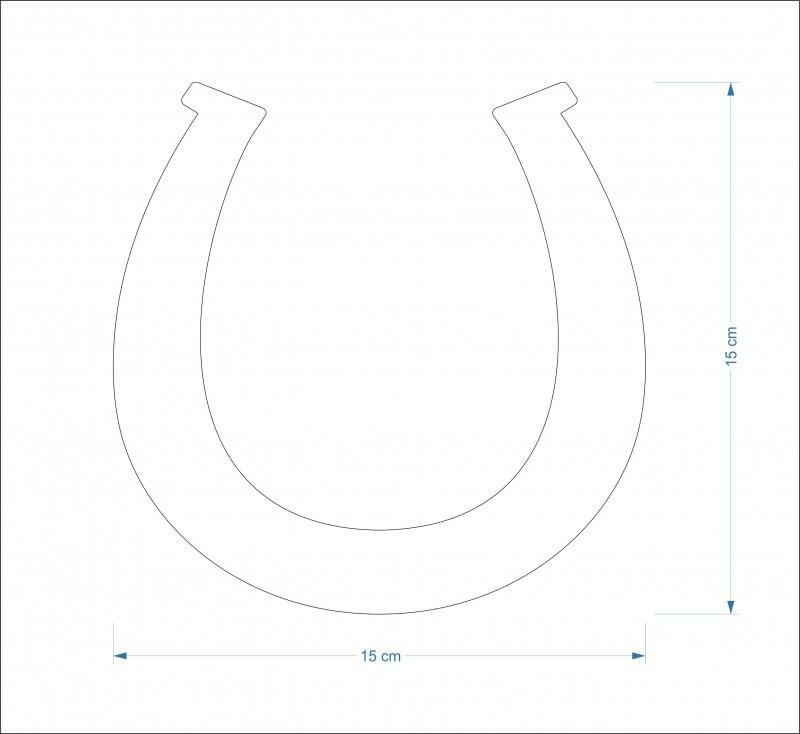 MDF horseshoe shape craft blank. 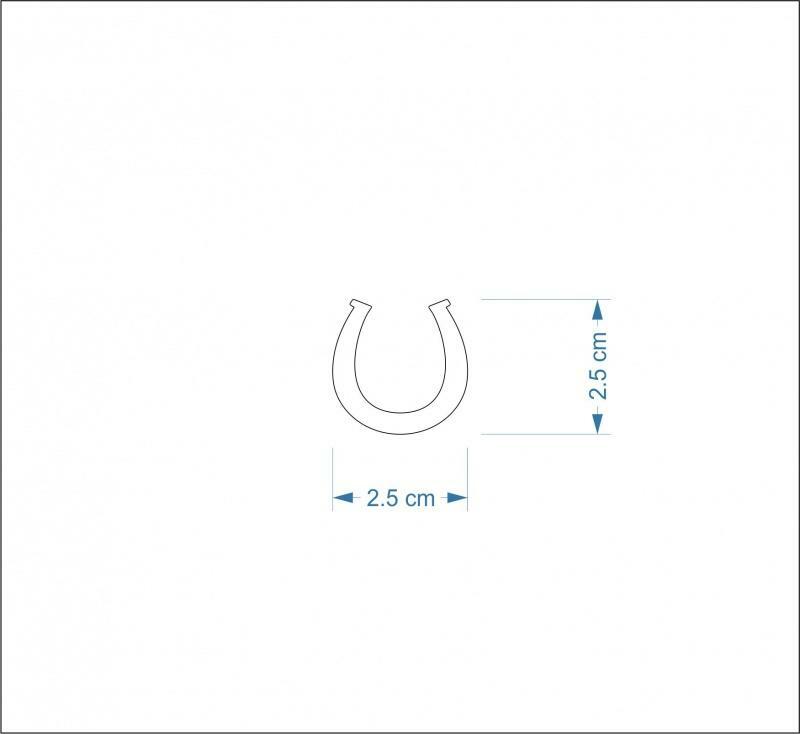 Wooden mdf horseshoe hanging tag. 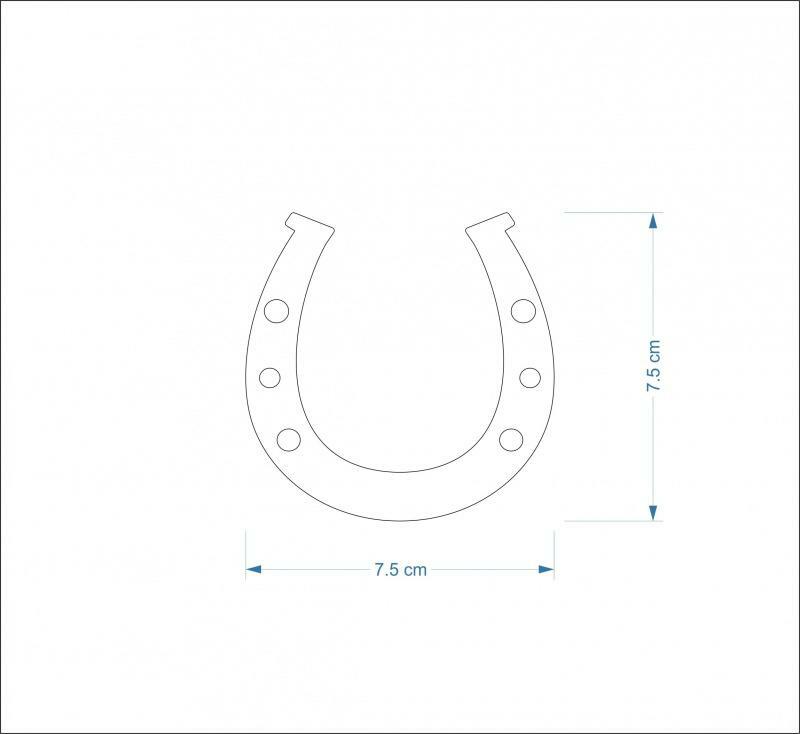 Wooden horseshoe craft shapes, laser cut from quality 3mm MDF. 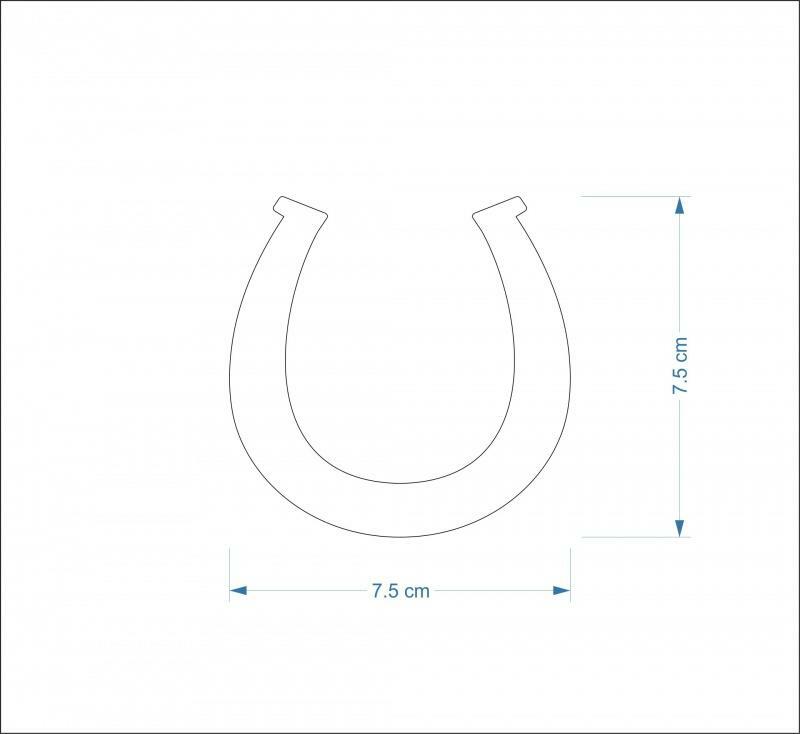 Lovely smooth finish ready for you to decorate, paint or embellish. 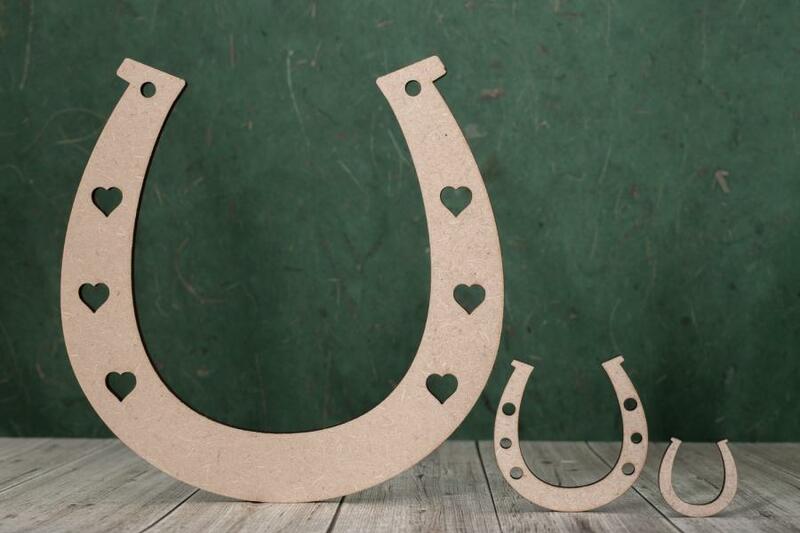 Traditional good luck shape, these come with a choice of heart shaped holes, plain round holes or no holes. 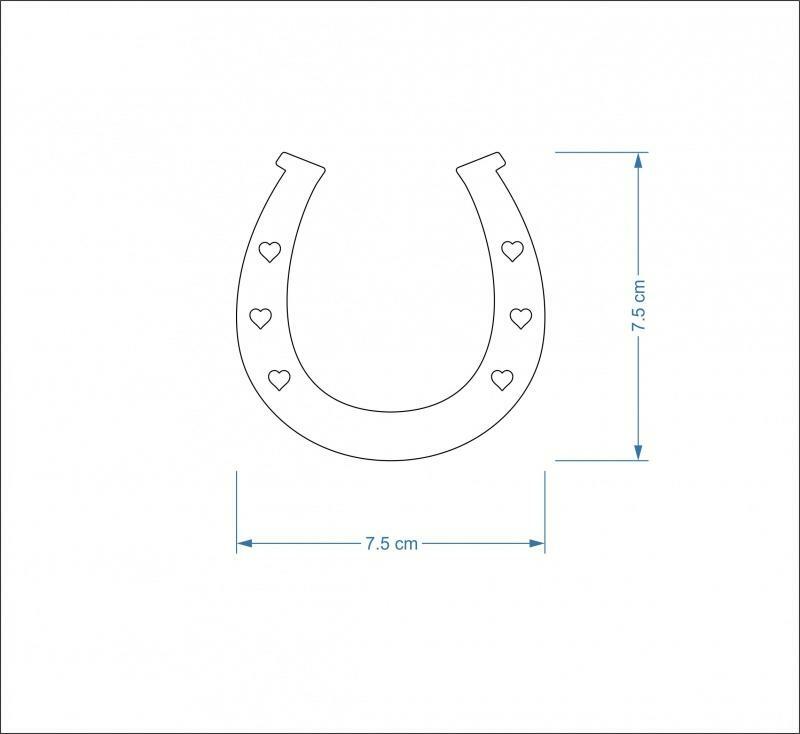 Perfect for you wedding projects. 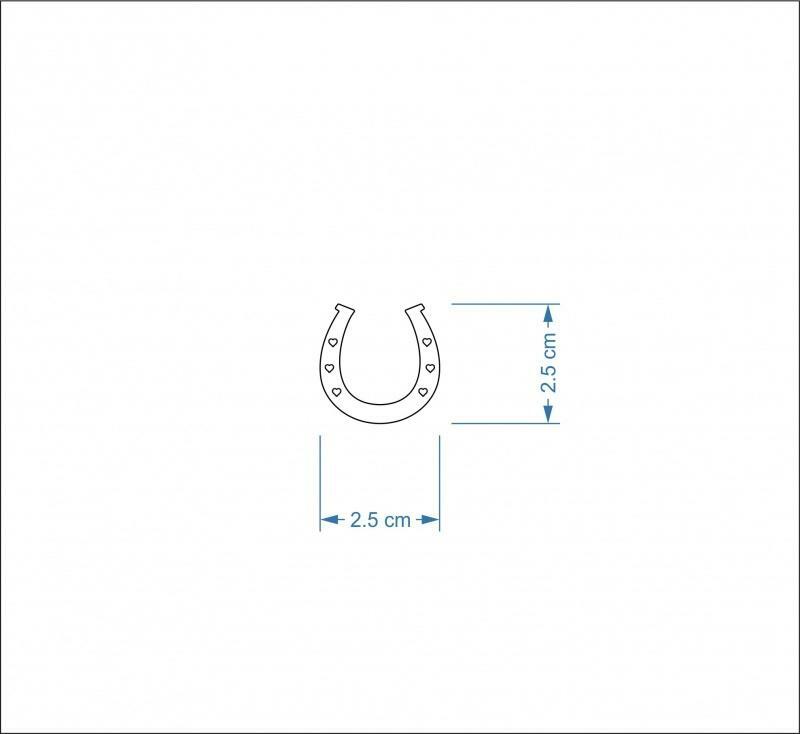 The horse shoes can be supplied with or without holes at the top for hanging, please use the drop down box "hanging hole" to make your selection.